Arsenal forward Alex Iwobi is set to make his acting debut in an upcoming Nollywood movie. 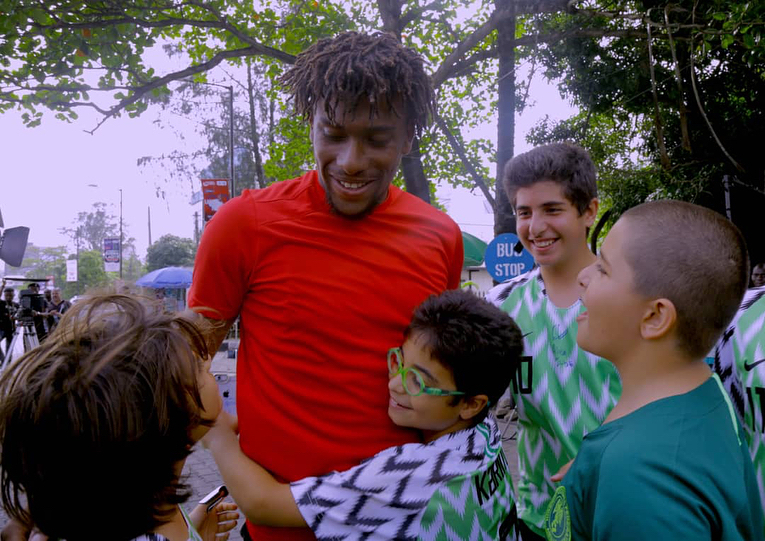 Making moves in front of the camera is nothing new for Iwobi, who recently fronted Nike’s Naija campaign with Wizkid, certifying his standing as one of the waviest Premier League players when he’s not in action for the Gunners. As a proud Nigerian, it’s only right that he’s got involved in one of his countries’ best exports – Nollywood films. ‘Inpadisu’ looks to be an all-action affair, with the trailer revealing the Super Eagle star may even have had a stunt double in a high-octane chase scene, which looks to have been shot in plenty in London. The 22-year-old recently signed a new contract with Arsenal which extended his stay at the club until 2023 – meaning that he’s firmly in Unai Emery’s plans for the future – even if he does end up becoming the new 007. One player that future lies elsewhere from the Emirates is England U20 International striker Stephy Mavididi, who has just joined Juventus from Arsenal.